Want to make clearing up easier after meals? 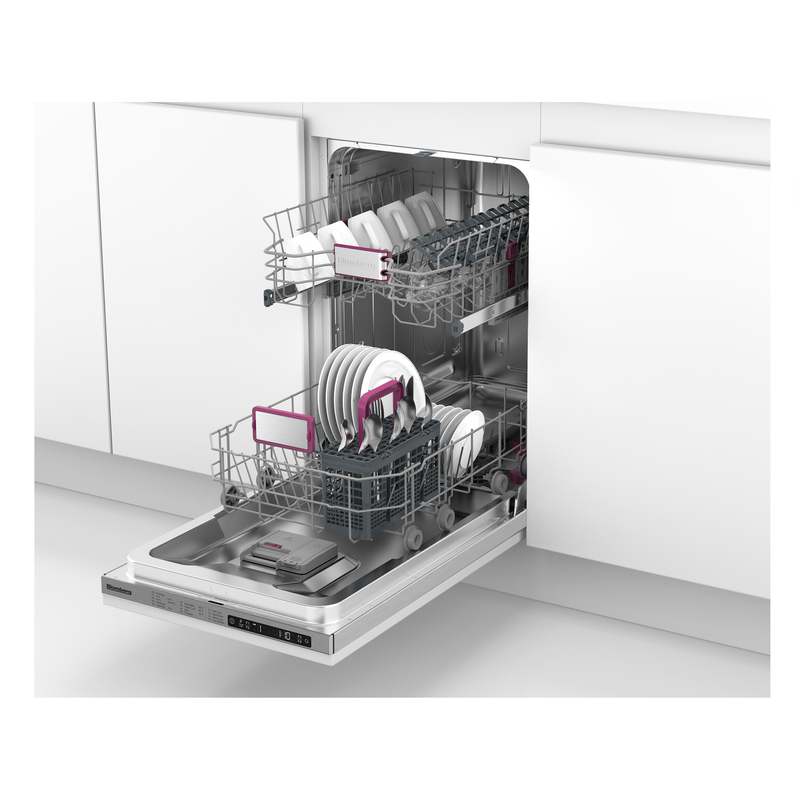 Make cleaning a dream come true with this Blomberg slimline dishwasher. You’ll find plenty of space thanks to the smart, slim design that makes the LDV02284 a perfect fit in any kitchen.This Blomberg dishwasher saves more than just your time and your money – it also saves space. Slim and compact, the LDV02284 is a built-in appliance, fitting comfortably wherever you need it. 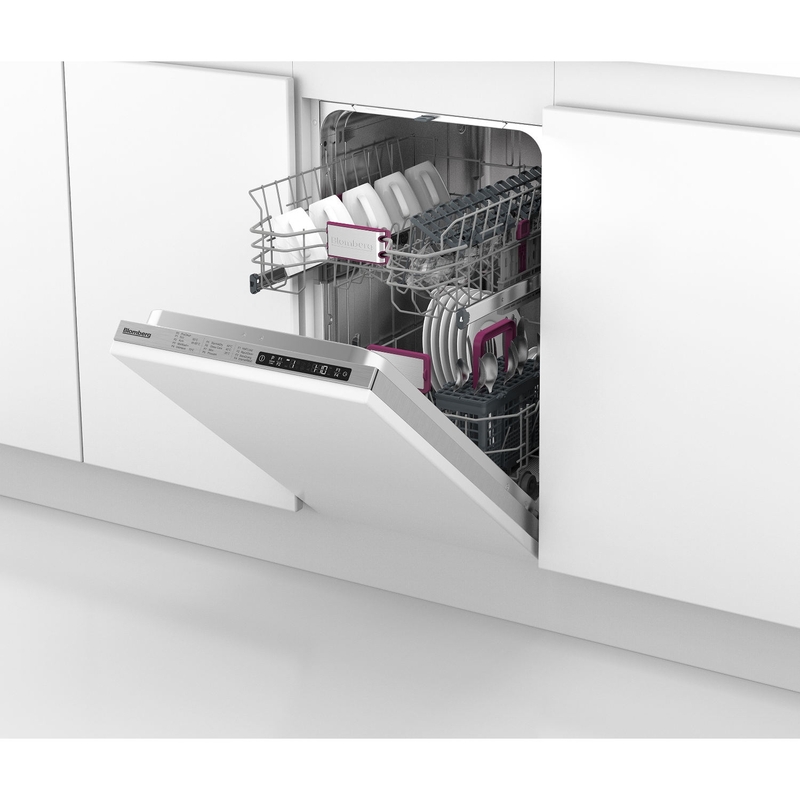 If you want a smart and spacious kitchen, this dishwasher will tick all of your boxes. Improved water consumption: The LDV02284 uses less water to deliver the same fantastic results as previous models. 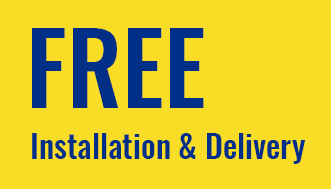 With even greater efficiency, you can worry less about your utility bills. Adjustable Top Basket: The top basket is adjustable to three heights, allowing you to fit in all your bowls, plates and dishes. Folding Tines: Make sure your glasses and dishes are held safely and securely while they’re in the wash. Folding tines in the top basket give you peace of mind with more delicate items. Added Spray Arm: For extra power in every wash, the additional spray arm boosts performance and gives a brighter clean. Boasting eight distinct cleaning programmes, Blomberg has made sure you can always find the right wash for your needs. The Pre-Rinse feature will help lift grime and get the results you desire. Having lots of dishes that are slightly dirty might make a full wash too much. 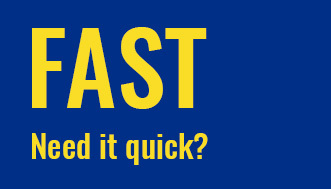 The Mini Wash has a 30-minute cycle, giving you more options on how long you feel your load needs. Eco Wash is great for those who care for the environment as much as their dishes. This function works by extending your wash over a longer cycle, and heating water more gradually to reduce the amount of energy used. There are some stains that you think are never going to come out. If you’re looking for a solution, then the Intensive Wash programme provides the heavy-duty cleaning power for you, with a cycle lasting over two and half hours. And, if you’re short on time, the quick programmes on the LDV02284 can wash a full load of lightly soiled dishes in just 30 minutes. Or, if you’ve got dirtier dinnerware, this only takes 58 minutes. Save on time and utility bills with this slimline dishwasher. 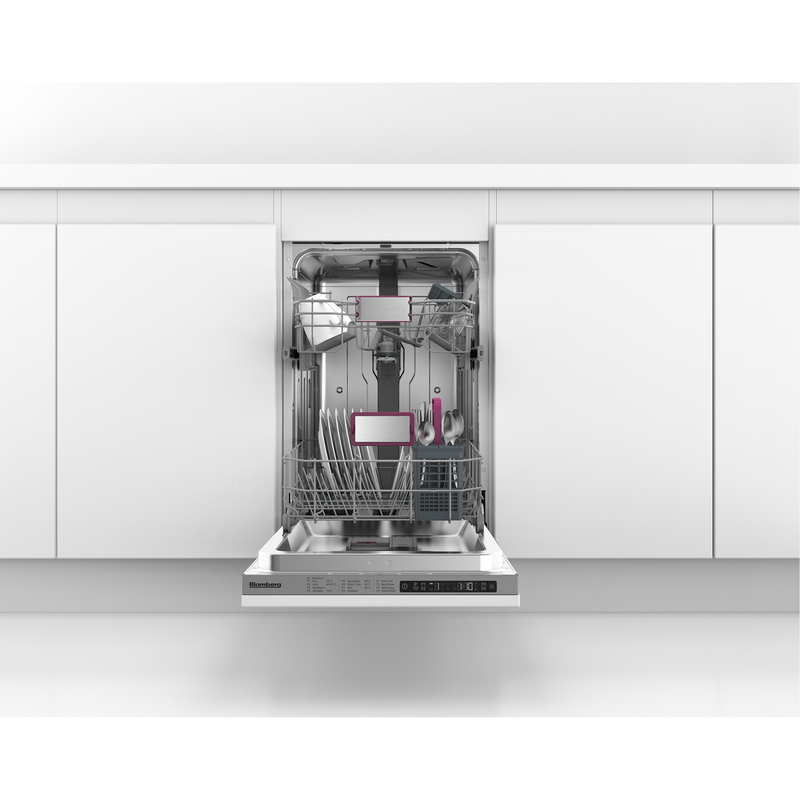 This Blomberg dishwasher is designed to take the burden away from family meals. With ten place settings in a single load, you can cook as much as you like, whenever you like. It’s even been given ‘A’ ratings for both washing and drying performance. The LDV02284 can also make any wash a PowerWash. This technology combines high water pressure to blast away dirt with extra spraying jets for the bottom basket, delivering an intensive clean to even the dirtiest of dinner plates. Featuring intuitive button controls and an LCD display, this dishwasher makes it easy for you to select the wash you need. 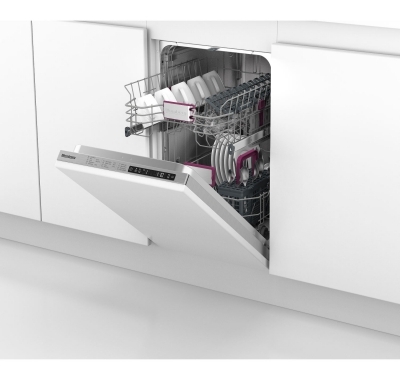 Inside, there are folding plate supports that optimise your washing and take the hassle out of loading and unloading the dishwasher. Awarded an A++ energy efficiency rating, you can minimise your impact on the environment while still getting sparkling clean pots and pans. You can also thank Blomberg’s brushless Optima Inverter Motor, which not only uses less energy but also runs at a quiet 47 dB. 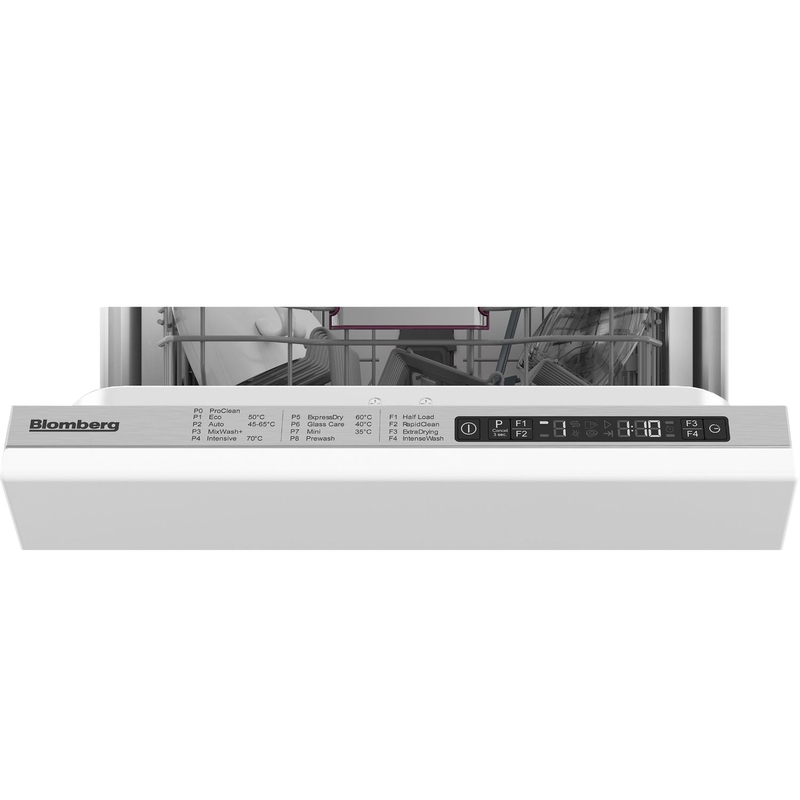 Blomberg gives you the cleanliness you want with the convenience you need. This dishwasher is even exclusive to Euronics and Agent stores, so you won’t find it at any other retailer. Get the LDV02284 for your kitchen today.